A Delicate Sense of Terror draws inspiration from the geometry inherent in the modernist architecture of Ernö Goldfinger’s Balfron Tower in East London. Through this ongoing and ever evolving project Rab Harling deconstructs and dissects, through time and space, the spatial parameters that this monolithic tower has occupied since its first tenants arrived in 1968. Following photographic deconstruction, Harling reconstructs geometric trajectories on lightboxes and in sculptural installations, exposing form and processing function, transgressing far beyond mere representation. Through this process he attempts to witness a truth about the transient community of the tower’s collective consciousness. ‘Order is resisted in this documentation of our tower’s architecture, a brutal tower which defies the chaos of the organisms that inhabit and attempt to control it. A flowing mechanism, its residents absent, displays only their shapings, negotiations, dressings and undressings of the barren interior. Hidden spaces of communal infrastructure become integral to the comprehensive record, echoing the way our routes into and out of our flats become integrated into our collective experience of home. Trained in the film industry, Harling gained an MA in Photography from the London College of Communication, University of the Arts in 2010. His practice investigates the social occupation of space, focusing on how people construct a sense of place, and how built environments reflect and actively produce particular social configurations and political ideologies. 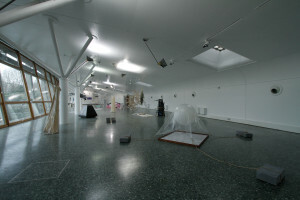 Rab Harling’s work has been exhibited both in the UK and overseas. 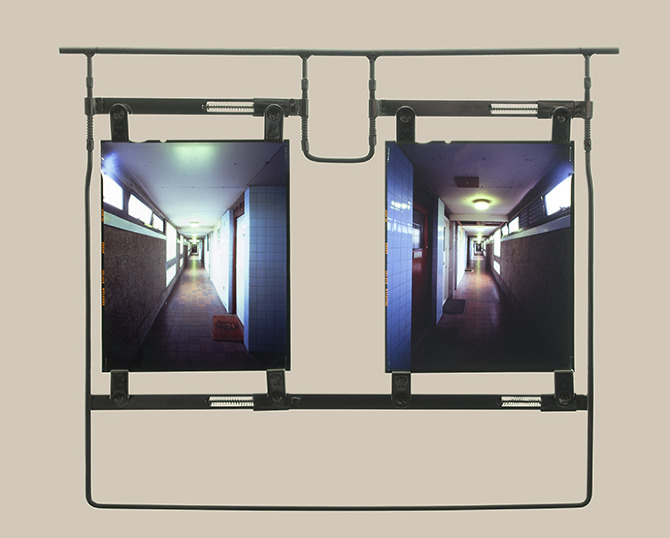 Recent examples include ‘Reports from an Ordinary Satellite’, curated by Val Williams, at the Rhubarb International Photography Festival and Galerie Der Fachochshule, Germany (2010), as well as large scale site-specific installations for the Tower Hamlets Spring Open at the Mile End Art Pavilion in London (2011, 2012). Curated by Iavor Lubomirov and Bella Easton. Text by Rab Harling and Ruth Solomons. This entry was posted in EXHIBITIONS and tagged erno goldfingers balfron tower, Iavor Lubomirov, London College of Communication, Lubomirov -Easton, mile end art pavilion, rab harling, rhuharb international photography festival, Ruth Solomons. Bookmark the permalink.